Sarah Prager is an activist, public speaker, and writer with a B.A. from Boston University and a Certificate of Communications from Emerson College. She is the founder and director of Quist, a free mobile app that aims to bring queer history to the world in an interesting and interactive way. Sarah came out as a lesbian at the age of fourteen and taught herself LGBTQ history as a means of gaining a sense of community. She has been an activist since that time, working for marriage equality, bisexual visibility, HIV prevention, sexual assault prevention, and basic LGBTQ human rights abroad. She has written about LGBTQ history for the Huffington Post, The Advocate, the It Gets Better Project’s blog, and QED: A Journal of LGBTQ Worldmaking. She lives in Connecticut with her wife and their child. 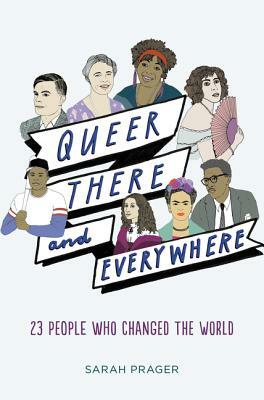 Queer, There, and Everywhere is her first book.